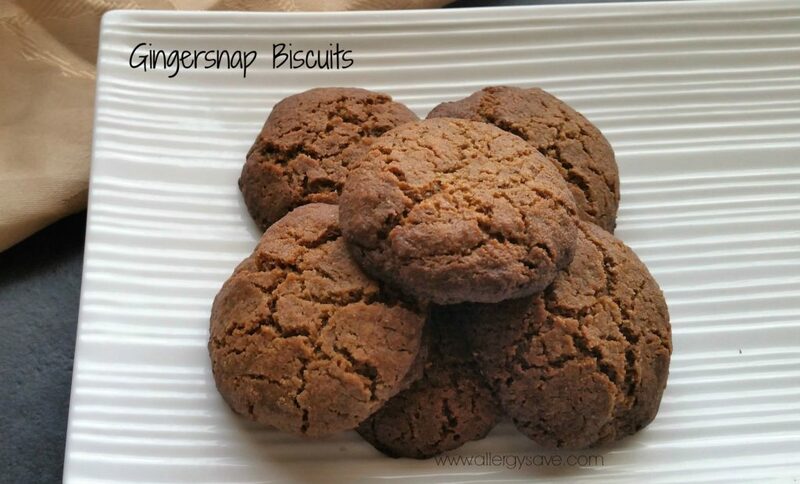 These old fashioned Gingersnap Biscuits are a traditional favourite for many of us. Those with allergies and food sensitivities can also enjoy them too with my allergy friendly version. They have just the right amount of crunch – without breaking your teeth. Well, having said that the first 2 batches I made in developing this recipe were very crunchy. Keep an eye on these while your cooking them as they burn very easily – trust me on that! Preheat oven to 230C. Line an oven tray. Combine all dry ingredients in a mixing bowl. Melt coconut oil and golden syrup together and pour over dry ingredients. Stir until combined. Roll mixture into walnut sized balls and place on a lined oven tray. Place in preheated oven 230C/450F) and cook for 5 minutes. * Besan flour is made from chickpeas and also called chickpea flour. You should be able to find it online, in the health food store and some supermarkets are also stocking it.